I love making easy DIY Christmas tree ornaments with my kids during the holiday season, and this sweet DIY felt gingerbread house ornament is my latest favorite! 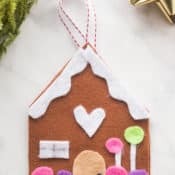 Note that you’ll definitely need to do the hot-gluing for your children, but, they can help choose the felt colors, cut out shapes and arrange the small felt pieces to create their own unique gingerbread house ornaments. 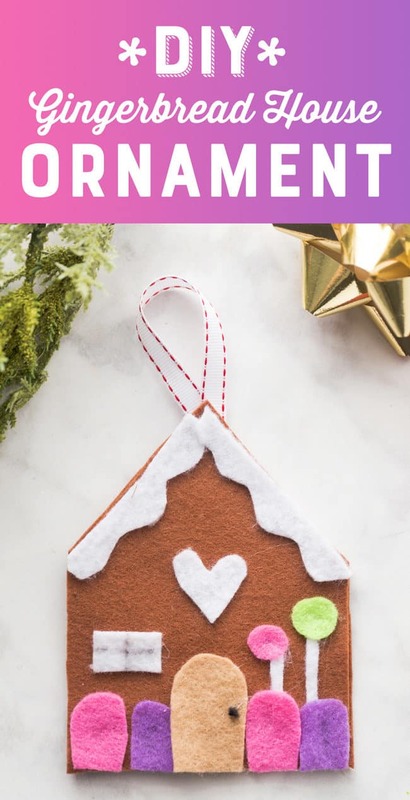 There are so many ways you could make your gingerbread house Christmas ornaments unique! My daughter loves to add sequins, glitter and buttons to her felt ornaments to make them extra-special and cute. Plus, felt is so cheap on Amazon that you can easily make these gingerbread houses and then move right on to snowmen, stockings and wreaths. The possibilities are endless and I love that these turn out as cute, soft, no-break ornaments that you can use on your Christmas tree year after year. Be sure to watch our fun tutorial video below for a full instructional guide on making these easy felt gingerbread house Christmas ornaments. You can also check out some of our other wonderful Christmas ornaments for kids like these fun salt dough ornaments and our adorable wood slice reindeer ornament. 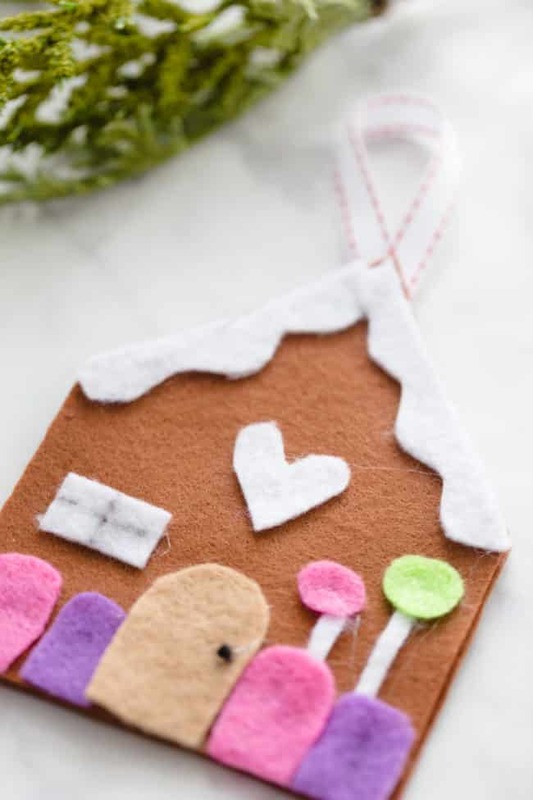 A sweet felt gingerbread house ornament craft that’s perfect to make with your kids! Cut your brown felt into two house shapes and set aside. Decide what type of ornaments and shapes you want to put on your gingerbread house and cut them out of your colored felt. Glue your felt pieces together with a hot glue gun. Place a small piece of ribbon at the top of your gingerbread house and glue it in between the two house shapes. Glue the remaining sides of your gingerbread house.